This year was my turn to plan our Valentine's Day celebration, so I planned a little getaway to an island off the coast of Bahia. Have you ever heard of Morro de São Paulo? 272 km from Salvador Bahia is an island called Tinharé, and Morro de São Paulo is one of 5 villages that make up Tinharé. 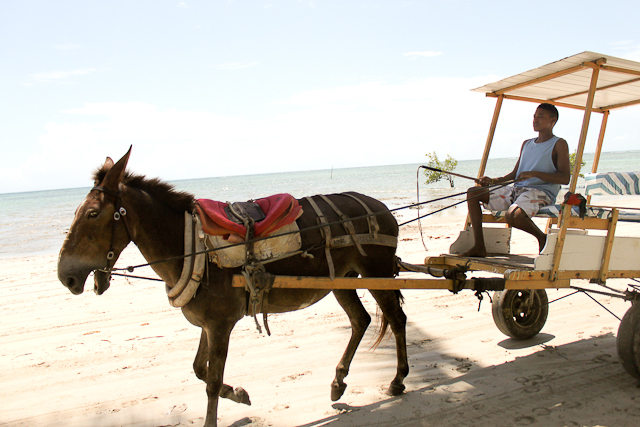 The only way to get to the island is by boat or by private plane, and since cars are forbidden to enter the island the only mode of transportation is by tractor, bikes, horses, or carriages. We took the carriages. We also walked a lot. The beaches are very different form Itacare, where we currently live. Because of the reefs you get these warm natural pools that form during low tide. We did some snorkeling and saw some amazing fish. Christian saw a black fish with bright blue dots. I saw a fish that was transparent, with big bulging eyes. Does anyone knows the names of these two mysterious fish? During the colonial period, Tinharé was often under attack either by the French or by the Dutch, due to it's distinct geographical location. 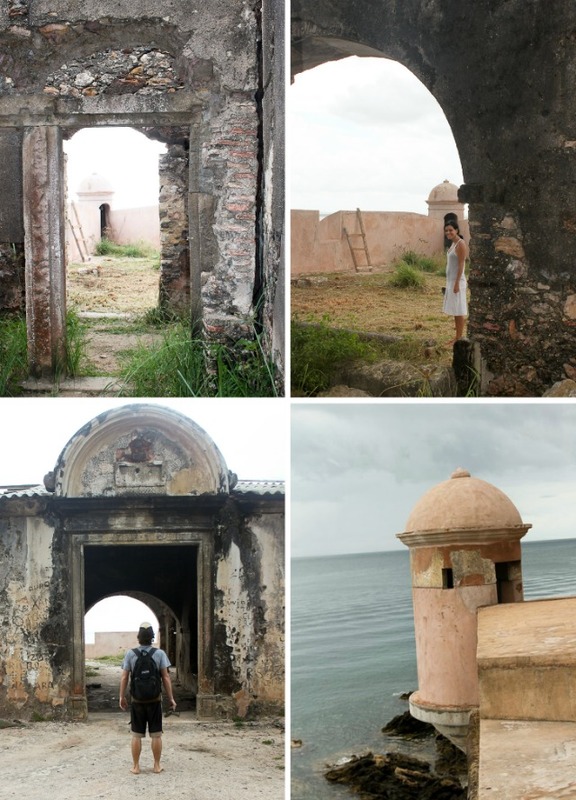 The Portuguese build forts in Tinharé in order to keep the enemy from advancing into Salvador Bahia, which at the time was the capital of Brazil. There were many battles fought in Morro de São Paulo. Did you know the Northeast of Brazil was under Dutch rule for 24 years? 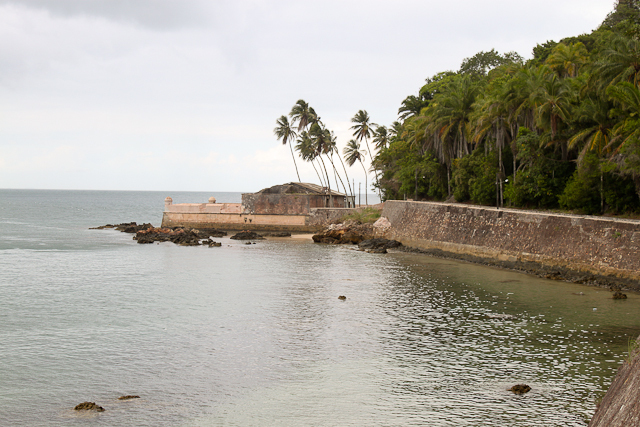 The Fort in Morro de São Paulo dates back to 1630. There are old rusted cannons just laying around and big ornate pieces or what I think could have been an old fountain. Exploring the Fort was our favorite, that and spending time together of course. Oh right you like to eat. Well so do I and we were not disappointed. 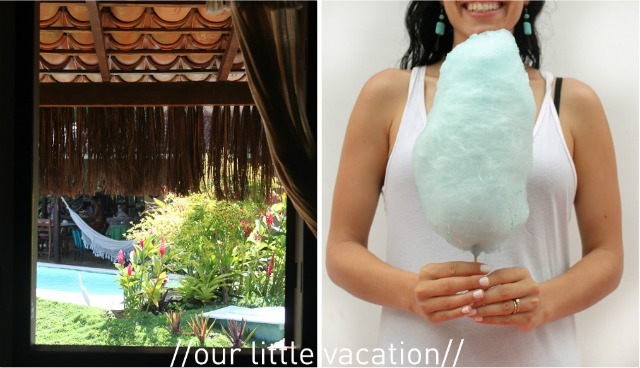 The Villa has everything ranging from traditional Bahiana food to Sushi. There are also brick oven pizzarias, a Mediterranean bistro, and small bakeries where you can get a quick bite. There are plenty of restaurants as well as little beach shacks that sell fried seafood, and of couse pastel. On our first night there we went to Bianco e Nero, a very nice Italian place. If you want a fancy sit down dinner, with great ambiance, and good steak this is the place to go. Living in Itacare, another tourist town, we've seen so many eateries open and close just in the short 6 months we've been here. I can't guarantee that Bianco e Nero will still be there when you or we get a chance to go again, but from what I saw you'll have plenty of options to choose from. Another thing to consider is that Brazilians eat dinner late, anywhere from 8pm-11pm. Most hotels, or pousadas, and even hostels offer breakfast. 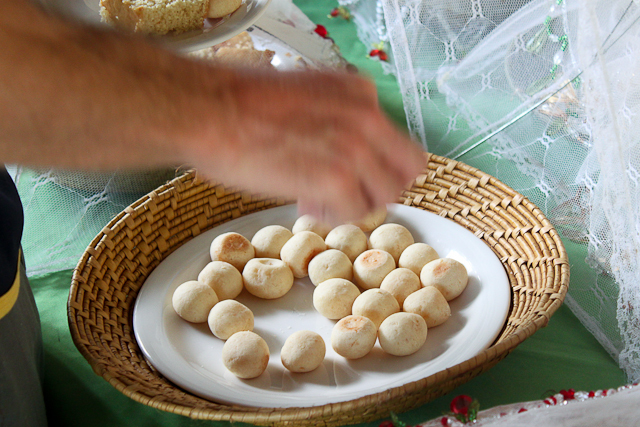 Here is what a breakfast from a pousada looks like, it's pretty big and perfect if you eat gluten-free because a lot of food in Bahia is made from tapioca. Then grab a late lunch at the beach and dinner at restaurant and you'll be good to go. 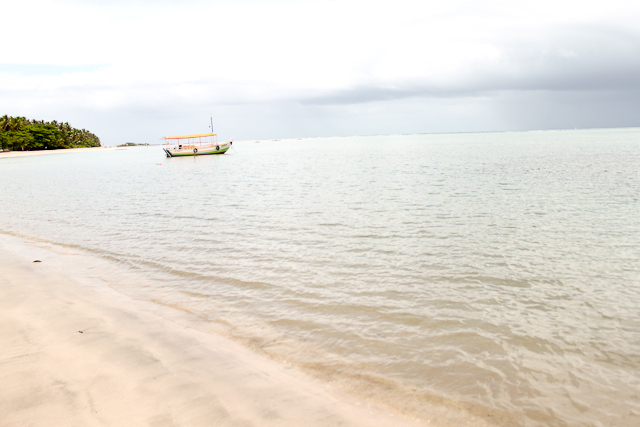 Morro de São Paulo is separated into 4 beaches. the first two are close to the Villa and close to the little harbor where you'll come in. These two beaches have hotels and pousadas (bed and breakfast) ranging from $500 a night to $50 a night. The first and second beaches are a good place to stay if you want to be close to the restaurants, the night life, and pretty much all the action, including some cute shops. Third beach is a little more quiet, with a handfull of places, and 4th beach is farther away, very quiet, with ocean view pousadas and pousadas that are tucked away in the jungle, with a short walk to the beach. 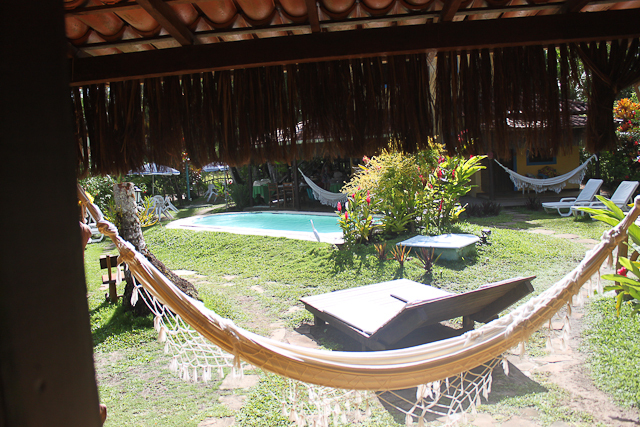 We stayed in 4th beach at a very cute pousada called Vila Mato Verde. 4th beach is beautiful and every time we went to the beach there was hardly anyone there. It's also a nice walk from 4th beach to 1st beach. If you don't want to walk you can always take the carriage, a horse, or a bike. 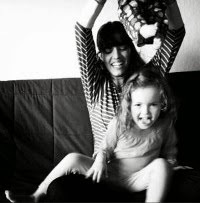 Vila Mato Verde had a large 2 bedroom chalet with a full kitchen. There was a family from Denmark staying there with two young kids. If you're traveling with kids check around because I know a lot of pousadas have this set up. We took one full day to just walk around, see the historical sites, and visit the different beaches. I think we saw everything except the colonial theater. If you're looking for something more adventurous you can zip line down to the beach. This picture was taken from where the zip line starts. It's a total of 340 meters long. Here is a little video. Just watching this makes me a bit queasy. I don't love heights. But I do love snorkeling. Plenty of places to snorkel and also dive. There are snorkeling, diving, wind surfing, and surf board rentals everywhere. You won't be bored. 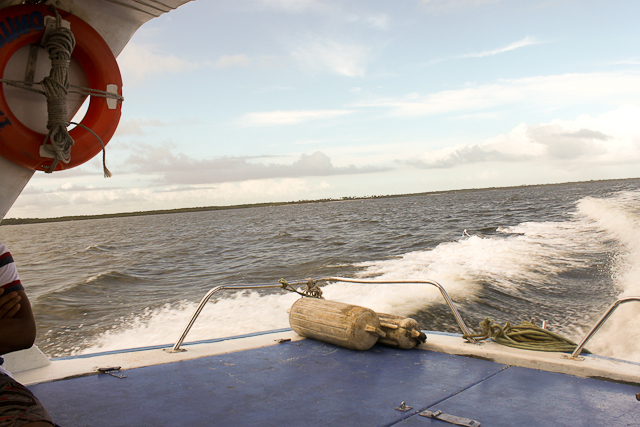 If you fly into Salvador Bahia you can take a 2 hour boat ride. Boats leave from Mercado Modelo. There's a boat leaving at least every 2 hours during the low season and every hour during the high season. If you're coming from the south of Bahia then you'll need to either drive or catch a bus up to Valença, and from there you'll catch a boat to Morro. Boats leave every 1/2 hour. 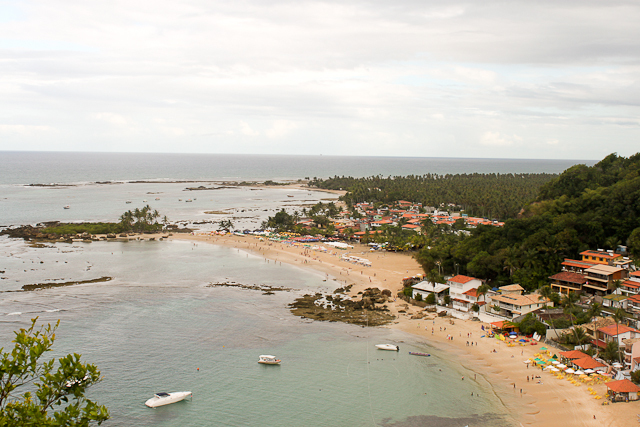 Have you ever been to Morro de São Paulo? Is this the type of place you'd like to visit?